Porsha Williams was demoted according to Andy Cohen for her lack of story line this season of ‘Real Housewives of Atlanta’ but we have yet to see any truth to this theory and today comes more news that will surely continue to keep Ms. Williams in our spot for most interesting housewife. TMZ has learned the “Real Housewives” star was pulled over today for allegedly speeding — cops say 78 mph in a 55 zone — and they claim she was driving on a suspended license. 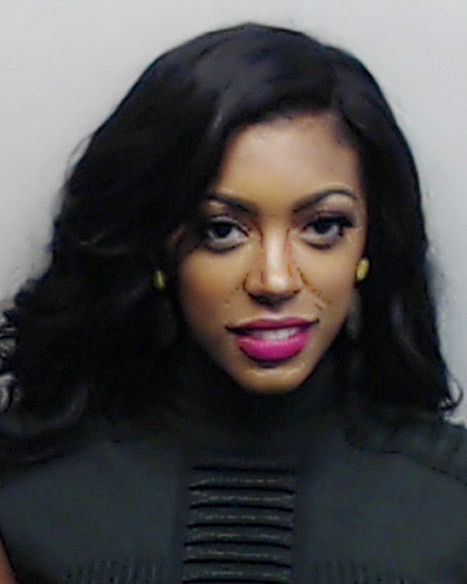 Cops hauled Porsha off to jail … where she was booked. We’re told she posted $1,726 to bond out. On another note, we think although it’s more bare and natural than her first mugshot (pictured below), the new one is still gorgeous.